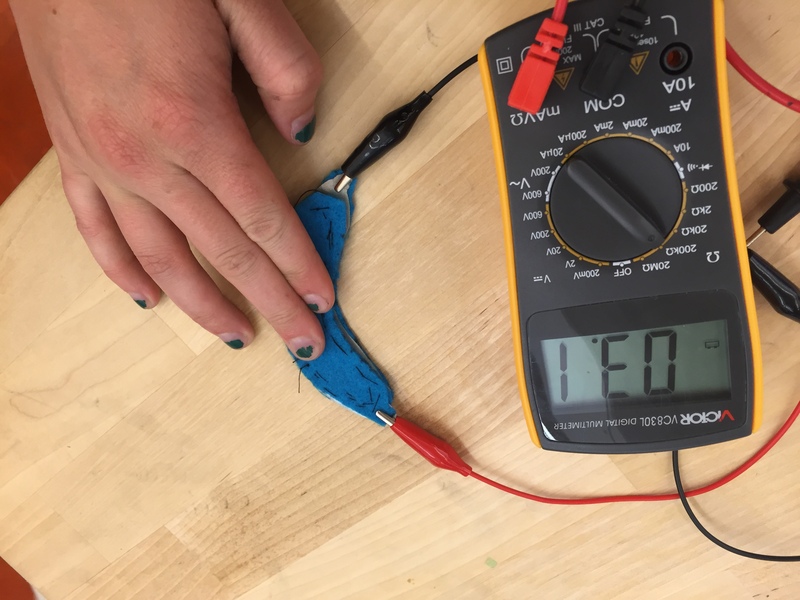 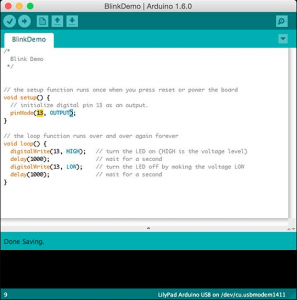 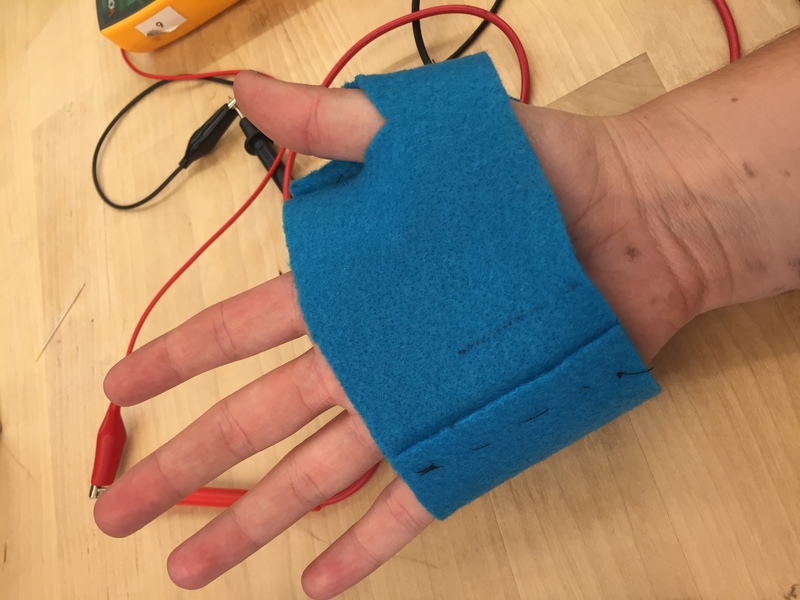 This class we learned about digital input and outputs by making a hi 5 switch. 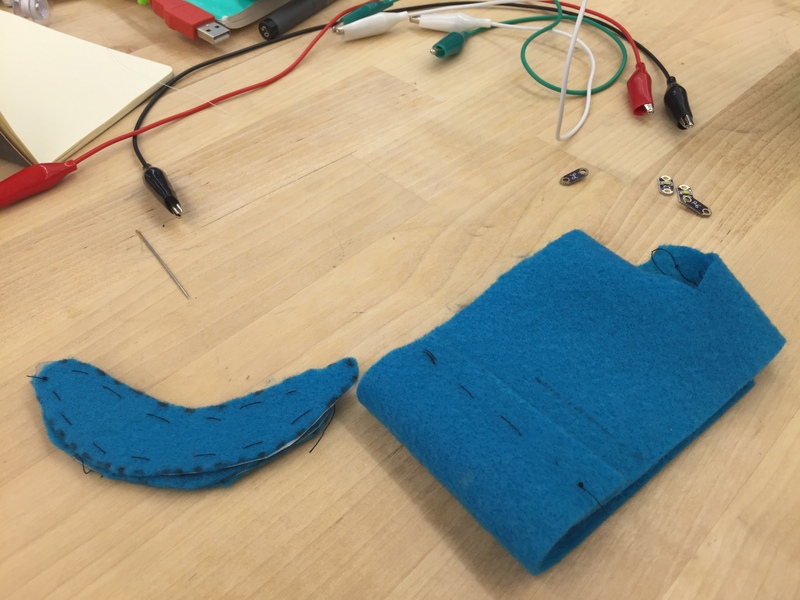 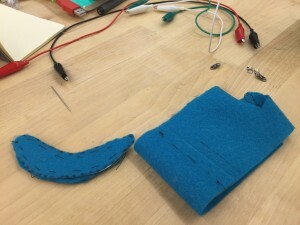 I made a soft switch by sandwiching conductive fabric and and felt together, and hooking it up to an Arduino Lilypad. 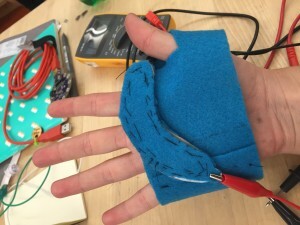 I tested if a connection would be made with a hi 5 contact by connecting an LED light and uploading a Blink Sketch. 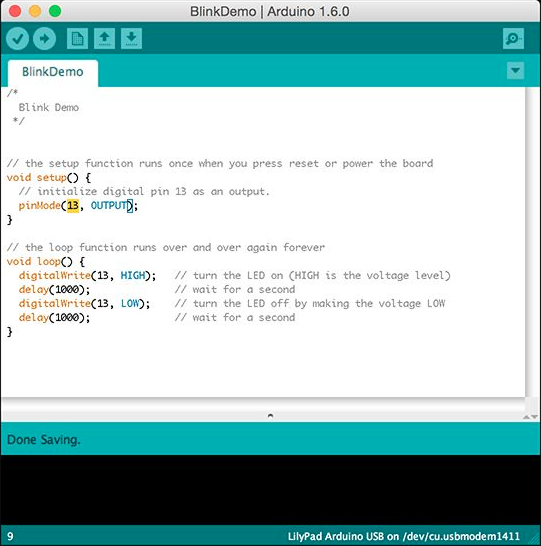 I used digitalWrite() to determine HIGH/LOW output depending on if the switch is on/off, allowing the LED to turn on when I got a hi 5.